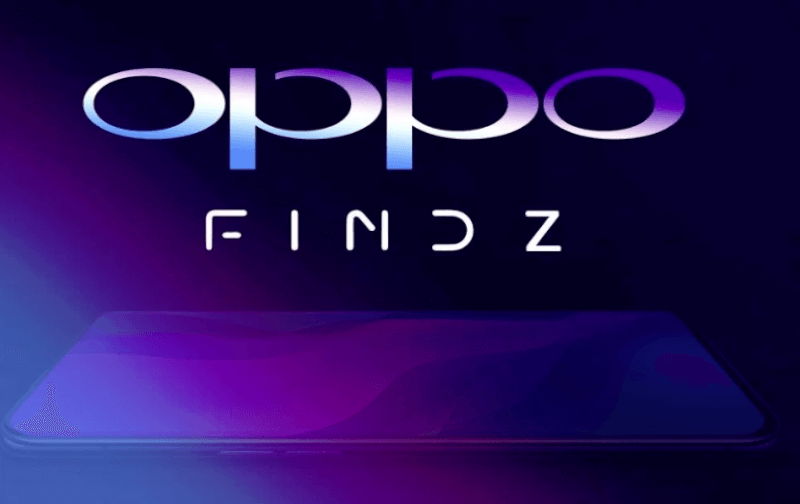 Oppo’s next flagship to be named OPPO FIND Z! Oppo is an innovative company who shocked the world by launching the futuristic Find X last year. When it launched the slider-toting Find X last year, Oppo made everyone in the technology industry sit up. The phone showcased a bezel-less future for the smartphones. It avoided the notch by using a mechanical slider for the camera. Oppo’s next flagship is going to be called the Oppo Find Z and will arrive with the Snapdragon 855. The trademarks listings have been leaked of the Oppo Find Z. 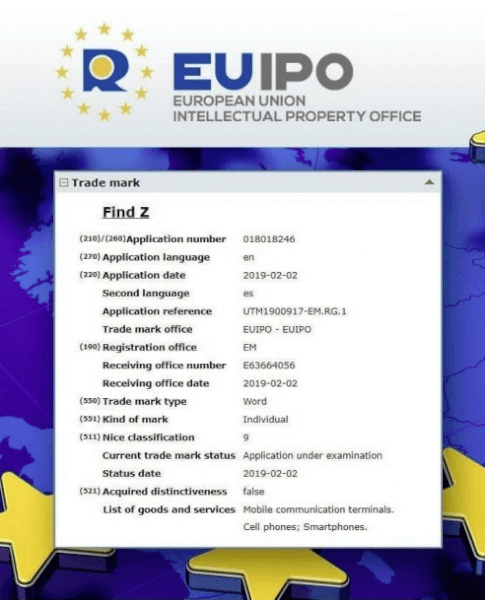 According to the documents filed by the company with the European Union Intellectual Property Office, the upcoming flagship smartphone from Oppo will be named Oppo Find Z. This will be the successor to the Oppo Find X. It could very well be the name Oppo decides to use for its next flagship smartphone under the Find series. Geekbench sighting of the Oppo Find Z codenamed “Poseidon” with a Snapdragon 855 chipset on board. Oppo can also use Qualcomm’s X50 5G modem which can be Oppo’s first 5G device. Also Read: Sony Xperia XZ4 to feature record 52 megapixels in its triple camera setup! Oppo Find Z like its predecessor to have an all screen design with no notches. 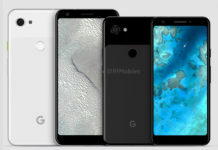 The phone will be running Android 9 Pie operating system out-of-the-box with the company’s own ColorOS 6 custom interface. It is also speculated to have up to whooping 12GB of RAM. The battery powering the smartphone will come with support for Oppo’s 50W SuperVOOC fast charging. 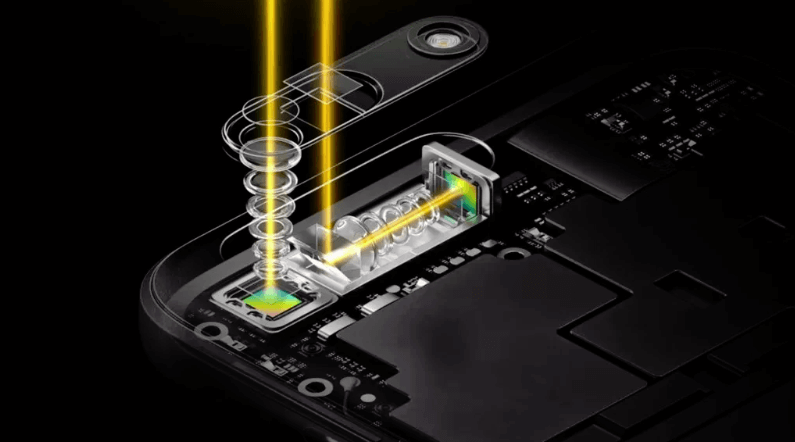 Oppo recently showed off its 10x optical zoom technology, which may make an appearance on the device. The 10x camera combines Oppo’s 5x periscope-style camera along with an ultra-wide angle secondary camera to achieve the total 10 times magnification figure. The Find Z is expected to have a triple camera with the third sensor being a 3D ToF unit dedicated to AR. The Find X didn’t have a fingerprint sensor. In contrast, Find Z will change that and add an in-display fingerprint sensor which will be capable of 2 finger authentication. Launch dates and price of the device isn’t confirmed. Above all it is to be believed, Oppo will show off its 5G technology at MWC 2019. Pricing is expected to be quite high as the Find X. Oppo Find Z is expected to be priced similarly if not more. 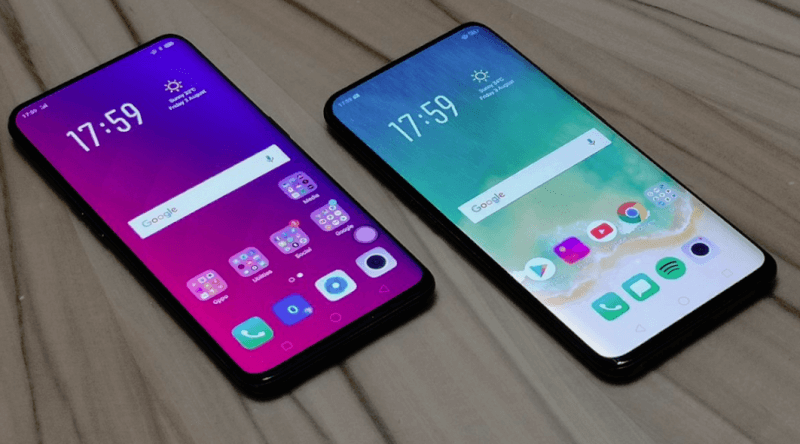 Meanwhile, the company is all set to launch the Oppo F11 Pro, which has already passed through the certification process in several countries. Next articleMicrosoft Andromeda : Surface Phone In The Works?